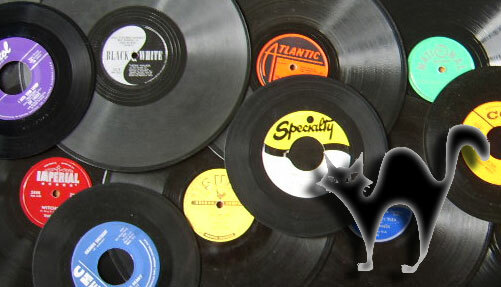 Prowlin' With Matt The Cat » Blog Archive » Hardrock Gunter Dies at 88! Hardrock Gunter Dies at 88! 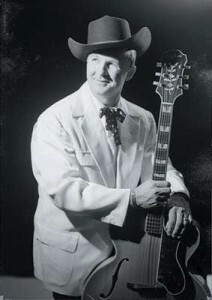 HARDROCK GUNTER, Rockabilly hero and Rock n’ Roll pioneer passed away at age 88 on March 15, 2013! He died from complications from pneumonia. His 1950 recording of “Birmingham Bounce” (Bama Records) makes our ever-growing list of possible “first rock n’ roll records” and man does it JUMP! He had two single releases for Sun Records: “Fallen Angel” b/w “Gonna Dance All Night” in 1954 and “Jukebox, Help Me Find My Baby” b/w “Fiddle Bop” in 1956 as The Rhythm Rockers. We’ve lost another great rock n’ roll pioneer…this time from the country side of the tracks.